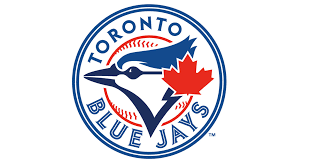 Veteran starter Randy Wolf, who’s with the Blue Jays’ Triple-A team in Buffalo, is grateful merely that the Jays gave him a chance, John Lott of the National Post writes. The 38-year-old Wolf offers an unusually candid look at the challenges a veteran can face near the end of his career. Wolf is a 15-year veteran and pitched for the Marlins just last season, but he says he had trouble even getting teams to take him seriously last offseason. “Teams would not even watch me throw,” says Wolf. “I had one team that agreed to watch me throw and they didn’t even show up.” Wolf has a 1.10 ERA in 41 innings with Buffalo so far, although with 5.7 K/9 and 3.7 BB/9. He says he’s just enjoying pitching, and not worrying about whether the Jays decide to call him up to the Majors. Here’s more from the American League. Shaun Marcum will start for the Indians on Wednesday in place of the recently-DFA’ed Bruce Chen, Paul Hoynes of the Northeast Ohio Media Group writes. That will require the Indians to give Marcum a spot on both their 40-man and 25-man rosters. The 33-year-old Marcum has posted a 1.36 ERA in 33 innings for Triple-A Columbus, although with a modest 6.0 K/9 and 2.2 BB/9. He pitched five innings for the Indians earlier this season before they designated him for assignment in mid-April. The Astros are “at least going to have a conversation” about each of the top players available on this summer’s trade market, but they don’t plan to make a big move quite yet, GM Jeff Luhnow tells MLB Network Radio’s Jim Duquette and Jim Bowden (audio link). Luhnow adds that he feels the Astros’ collection of prospects makes the team a viable trade partner for organizations looking to trade star veterans. In the meantime, though, the Astros want to spend more time evaluating their own players, and particularly their starting pitchers behind Dallas Keuchel and Collin McHugh. Randy Wolf is gonna be the saviour to the Blue Jays pitching rotation! Watch out AL East! Don’t feel too bad. My Red Sox haven’t done too well this season, but the pitching has been picking up the last week or so. They haven’t won too many games scoring 5 runs either. Which is really icing on the cake for how bad pitching has been for this team. Jays could sure use J.A. Happ right now – that trade has sure proven to be one sided so far. Not according to Mike Wilner it hasn’t. Funny, I’d rather have Wolf than Marcum. Especially after Marcum went on a tirade after the Mets cut him. Wolf seems much more even keeled, and their skill is probably equal. I don’t trust Marcum to pitch without imploding because something doesn’t go his way. Houston needs to do whatever it takes to get Cole Hamels ASAP ! Not really. They’ve done just fine without him, and they’ve had 2 out of 5 starters hurt. With McCullers called up, and Oberholtzer and Peacock on the mend they should be just fine for competition at the number 5 spot. Keuchel, McHugh, Feldman and Hernandez are four solid starters – all pitched well last year, and all are pitching well again. Not saying that Hamels would not make them a better team, but not at all cost. I don’t think they should do “whatever it takes”, but yes I think they should make a hard strong push to get him. We can’t sell the farm. It has to be a fair deal. The main reason I want him is he’s an ace with playoff experience under contract for 3 (4 if the option vests/is picked up) more years. That makes him 34 or 35 in his last year. Not terribly old. I rather make a trade and get him under those terms than sign an ace this offseason for 7 years that won’t expire until the guy is 37+. I’d love to have him this year, but the next 3 years is when the Astros are really going to need a guy like him because they will no doubt be competing for championships those years. A veteran ace would be a huge boost. depending on how McCullers does, I would say the astros need to go looking for an RBI hitter who can hit north of .260. The way I count, the Indians have 38 on the 40 man right now as when they DFA’d Chen, they replaced him with another man on the 40, so the roster was at 39, and they then put Aviles on the restricted list to deal with his ailing child, thus the 40 man sits at 38. No 40 man will be needed, but a 25 man will. Stanton , will be available soon for your 4 Top prospects , Including that young SS in the Minors , Make the deal . You need a 260 Hitter with Power, Who better than Stanton ?